I'm on a personal mission to bring back the calling card, a Victorian-era etiquette lost to time. I've been distributing mine for years but it hasn't caught on. 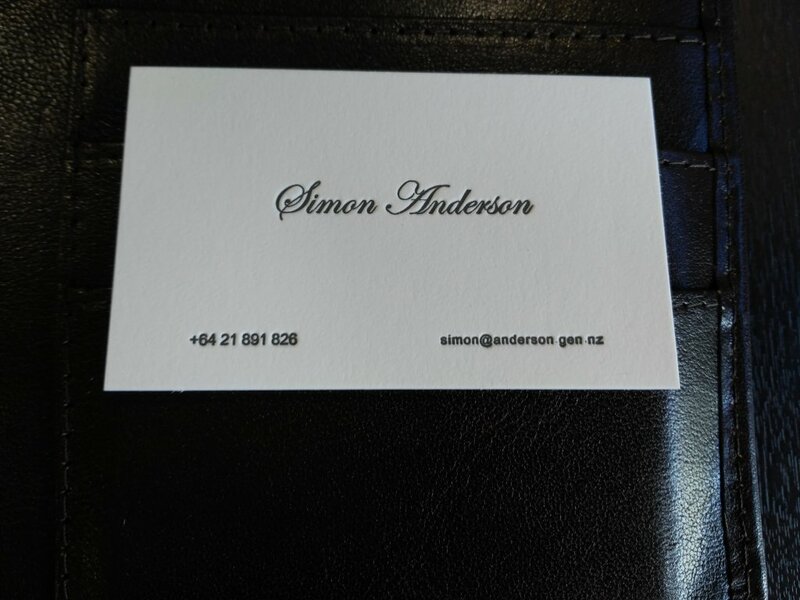 Of course we exchange business cards with those whom we interact with professionally but how appropriate are our business details for those with whom we interact socially? The details contained on a business card are reflective of whichever organisation we currently represent and are usually very different to our personal details. Who we are professionally is not who we are socially, and calling cards are a useful mechanism to demarcate between them.